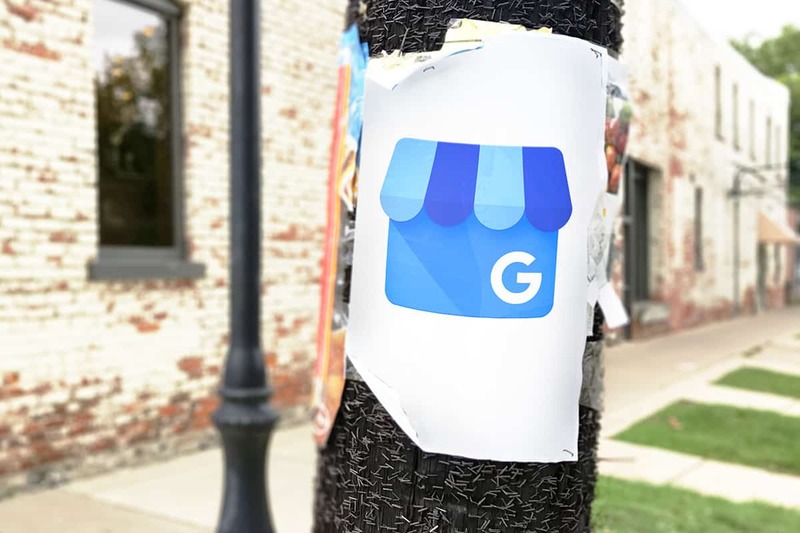 Launched in June, Google Posts is a free tool for verified Google My Business (GMB) accounts that allows you to display custom content, images, and even a call to action, along with your GMB listings for up to seven days at a time. 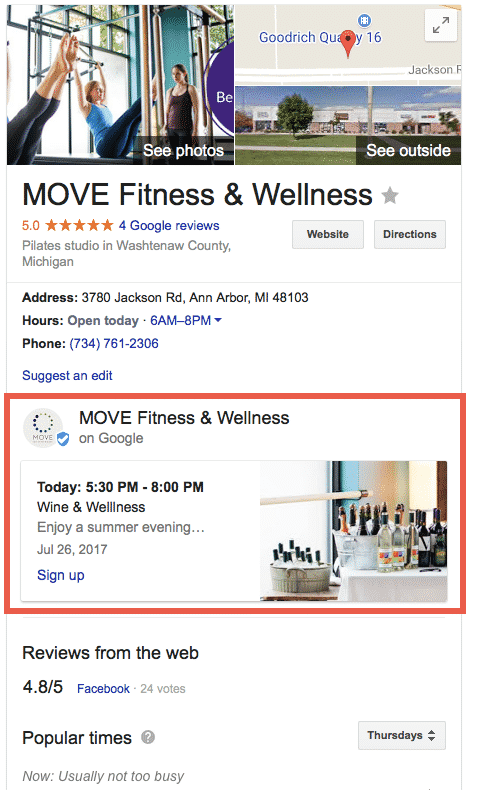 You can use Google Posts to promote an item of interest, such as an event, announcement, new product or service, or even a new piece of content. It’s such a low-effort way to draw more visitors to your site—not to mention zero cost—it’s worth it to try Google Posts for your next promotion. Get the most from your Google My Business listing—download our free tip sheet, Optimizing Google My Business. Creating a post is easy—with a little forethought, you can have your first post live in a matter of minutes. Before you begin, it’s best to decide on the purpose of your post. Would you like to gain brand awareness, bring traffic to your site, receive form submissions, or attract event attendees? Google Posts allows you up to 300 words and a selection of call-to-action buttons to help you achieve your goal. In your GMB account, simply click on the “shop” button in the list view of your account, then go to “Posts” or click “Create Post” to begin. Choose a high resolution photo that is visually stimulating and relevant to your purpose to help boost engagement with your audience. Google recommends using photos that are clear, well-lit and colorful, with good framing. The minimum resolution of your photo should be 720px by 720px, in PNG or JPG format. Use up to 1,500 characters (the ideal length for readability is 150-300 characters) to describe the details of your promotion or event. If your post is about an upcoming event, check the “Make this post an event” button. You’ll now be able to create a title for your event as well as set start and end times. Titles should be around 58 characters, using 4-5 words to describe your event. There is a preset list of CTA buttons to choose from (“Learn more”, “Reserve”, “Sign up”, “Buy”, “Get Offer”). Select the CTA most relevant to your post, then enter the appropriate URL for the button to link to. That’s all it takes! Make sure to preview your post before publishing to be sure everything is correct and displays properly. When you’re ready, click “publish” and your post will be live on your GMB Knowledge Graph for the next seven days. If you need your post to display for longer, you can edit and republish the post once it has expired. Google My Business has a feature called Google Insights, which is a simple dashboard that allows you to see how many searches your business is showing up for, branded (direct) and unbranded (discovery); actions users are taking from the Knowledge Graph; and number of photo views. In addition to Google Insights, Google Posts offers its own insights, which can be viewed from the post itself. Businesses can see how many impressions their post showed up for and how many clicks the post received. You can track the actions that the user took after clicking on your post with Google Analytics. The best way to do this is to generate a tracking URL for Google Analytics to measure actions, such as submitted a contact form or signed up for the event or promotion. You can also review how long users stayed on your site, if they left right away, and the number of pages they viewed. After reviewing the insights and analytics, if you feel your post is not performing as well as you’d like, try testing different photos, verbiage, or even other landing pages. 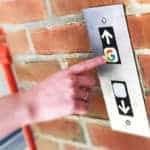 We’re excited to have Google Posts as a new tool in our toolbox when it comes to local search, and are already seeing success using the feature for our clients. With such a low barrier to use and good potential to engage your market, there’s no reason not to try Google Posts for yourself. For more information on getting the most from your Google My Business account, download our tip sheet: Optimizing Google My Business . Alicia is an SEO analyst and our local search guru, as well as a welcoming point of contact for many of our clients.